Before you search for the Hair Transplant Clinic and their cost in India, it is important to explore your options between several harvesting methods. Although there are 2 types of hair restoration treatment currently available – Strip and FUE, out of these two, the FUE is the most accepted procedure (by both customers and doctors) to gain back hair. Why to Go For FUE Hair Transplant? There are several aspects that support the Follicular Unit Extraction (FUE) as the most prominent method of hair transplant. As compared to the strip method (that leaves a huge linear scar on your scalp), the FUE is a minimally aching procedure where donor hair is extracted and does not leave any long-linear scar. ● Patient can shave their head or can keep their hair short without fear of having the scar in the back of the head seen by family and friends. ● You can harvest more grafts for the future FUE procedure, which means more hairs can be implanted in the balding area of the head. Why to Come At Alvi Armani? 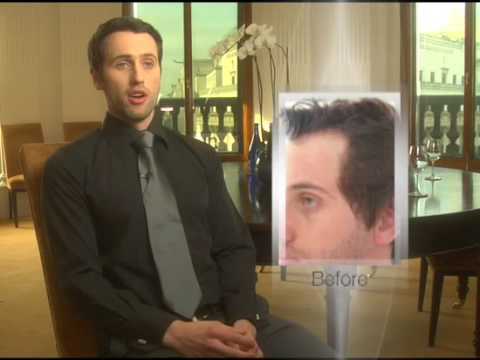 Alvi Armani is the leading organization in the FUE Hair Restoration. Our hair transplant clinic is available at numerous locations in India- Ahmedabad, Bangalore, Chennai, Delhi, Hyderabad, Jaipur, Mumbai, Nagpur and Pune. If you wish to see how effective the FUE treatment is at Alvi Armani, simply see the hair transplant result section on the site. Alvi Armani is in the industry since 1999 and has been acknowledged as the best in business globally. We are working with the team of certified medical practitioners and undertake the modern procedure of hair restoration that does not disappoint customer expectation. Our foundation is expanded to numerous countries- USA, UK, Argentina, and Canada. Now Alvi Armani is in India. Learn more about Alvi Armani FUE hair transplant, then do make an appointment at nearest center. Our experts will advise you and resolve all your queries in the best possible manner.